President and founder of Stair Galleries, Colin Stair spent 15 years with Sotheby’s Restoration, specializing in the fine points of period furniture conservation and restoration, before founding his auction gallery in Hudson, N.Y., in 2001. 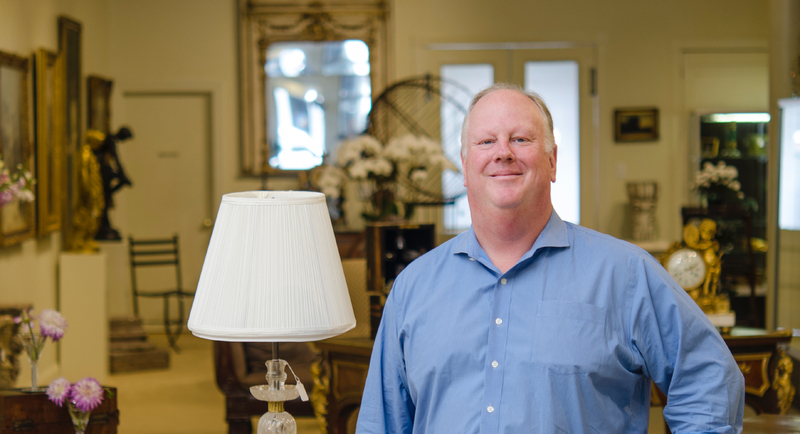 Colin is the fourth generation of the Stair family to specialize in antique furniture and is the head auctioneer at Stair Galleries. In his youth, Colin was surrounded by the business. His father John Stair helped bring the Sotheby’s brand to America in the late 1960s, while his grandfather plied his trade at four locations of Stair & Co. worldwide. Tell us about how you got your start in antiques in your grandfather’s galleries in New York and London. My grandfather had a well-established shop in a townhouse on East 57th Street where he sold important English furniture, as well as shops in Palm Beach and London. I was at the Winter Antiques Show at age 8 with my Stair company badge. After high school I was not exactly college bound, so I was all fired up to go into the Marine Corps. My family all served ahead of me (British army and the Marines), but my father said, “Why don’t you try working for me at Sotheby’s for three months to see…” I did, and had a great time, starting as a porter and a truck driver and working in the restoration department. In 1988, when I was 20, Dede Brooks offered me the opportunity to go to London and work in Sotheby’s Sussex salesrooms. I was interested in what I saw and began to understand what things were. We worked in a fast-paced salesroom, cataloging a furniture sale every month at least. I got to see how to run an auction house from the ground up. What was a defining moment of your career? The defining moment of my career was when Sotheby’s hired me, a kid from Long Island, and gave me a chance. I look at it as the greatest professional experience of my adult life. I got to learn about business and objects… The quality of expertise working there was stunning. It was an opportunity that will never repeat itself again. I’m eternally grateful for that one. You have conducted several single-owner auctions recently of notable designers and tastemakers. How did this come about? We love single-owner auctions! They allow us to see the inside of a collector’s mind, how they lived and what their style was. From experience, we have learned how to design a single-owner sale well, how to tell a story about the collector and how they lived… People like to envision themselves living like that person, using objects that belonged to people of note. That is appealing. I was at Sotheby’s during the Jackie O. sale, the Duke and Duchess sales and the estate of Andy Warhol sale, and I saw how well those single-owner sales resonated. Any kind of magic we can capture like that makes a difference. 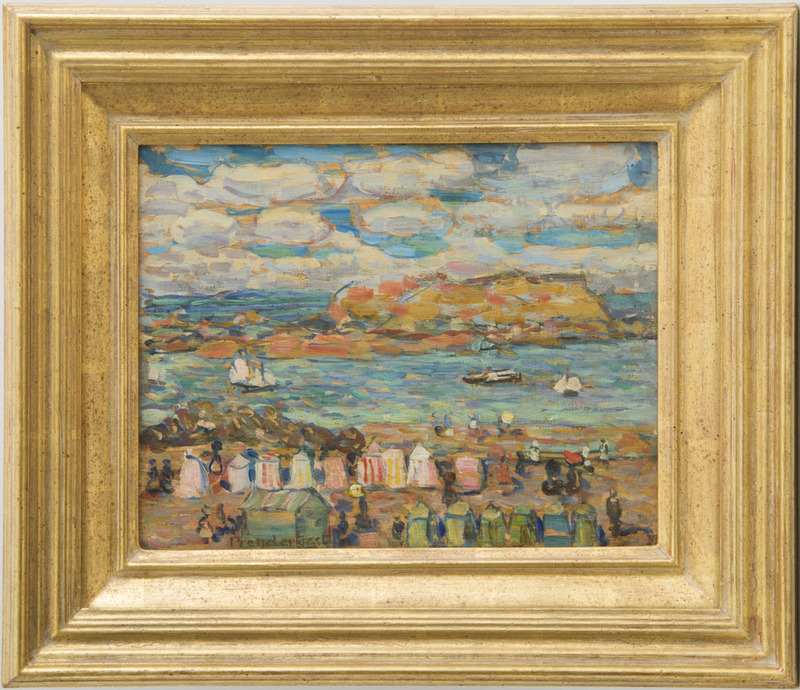 From the successful single-owner sale of the estate of Joseph T. Butler, Tarrytown, N.Y., in April 2015 was a Maurice Prendergast oil on panel painting. “Study St Malo No. 11,” circa 1907, went well over its $80/100,000 estimate to fetch $189,100. What are some of your favorite highlights among these sales? We recently sold property from the collector Judith Hollander. We sold her chocolate brown Mercedes that was to-die-for. It was just a beautiful car. I kept it in my garage and everything worked. It was just immaculate. It sold for $90,000, including the buyer’s premium. That was an exciting kind of sale. She is someone I knew for 15 years, and my Twentieth Century design specialist David Petrovsky knew her for 30-plus years. In 2015, we sold property from the estate of Helen Frankenthaler. Those were good sales. How do we get those? I don’t know…, someone says “Call Colin Stair.” I get a lot of estates that way. What is Stair Galleries known for and years from now, what do you see as its legacy? Stair Galleries is known for our exceptional customer service and for our high level of expertise — an extraordinary combination for a regional auction house. Because of my family’s history, we are really good at English and Continental furniture and stylish decorations. We sell interesting things to interesting people. There is just never a dull moment here. We’ve engaged people in the art business and we have a huge design following that includes world-renowned architects and decorators. We are getting stronger in the area of modern contemporary art because of our fine art specialist Lisa Thomas. Our specialist Muffie Cunningham brings her expertise and talents to our “Fine” auctions. I’m pretty lucky, I have a great staff right down to the truck drivers. What kinds of antiques (or art) are selling the best at auction right now? The answer is just quality, quality and quality. Good Chinese, Modern and contemporary art, fine art, furniture and jewelry. The market is strong for fine and rare objects in every category. I operate a small racecar, I’m involved with boating on the Hudson River, and bird hunting. When we go on family vacations, we tend to spend a lot of time looking at furniture! Will there be a fifth generation at Stair Galleries? Both my kids understand this business and worked here when they were younger. They have a great work ethic and are now pursuing their own career paths. My daughter Holly is a social media guru at age 26 and works for a company in New York, and my son John is a student at UC Santa Barbara.